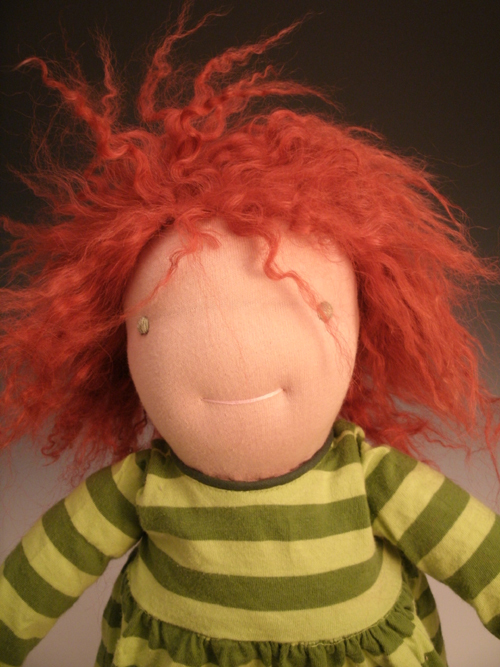 A one-of-a-kind Waldorf doll by Coppermouse Dolls. She features red hair made from Tibetan lambskin and is twelve inches tall. 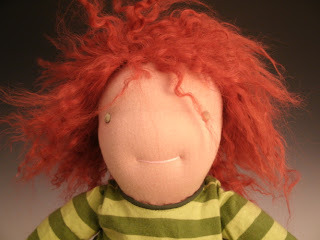 This doll will be for my daughter because her first Waldorf doll is getting pretty ragged. I can't tell you how many times I've cleaned that doll. I love the big, cheerful grin!